Have you ever returned home from a summer holiday and felt that next year you would like to do something more adventurous, if yes then Sarah MacDonald thinks this might be the holiday for you! The Chemin is an old WW11 escape route from France in to Spain. 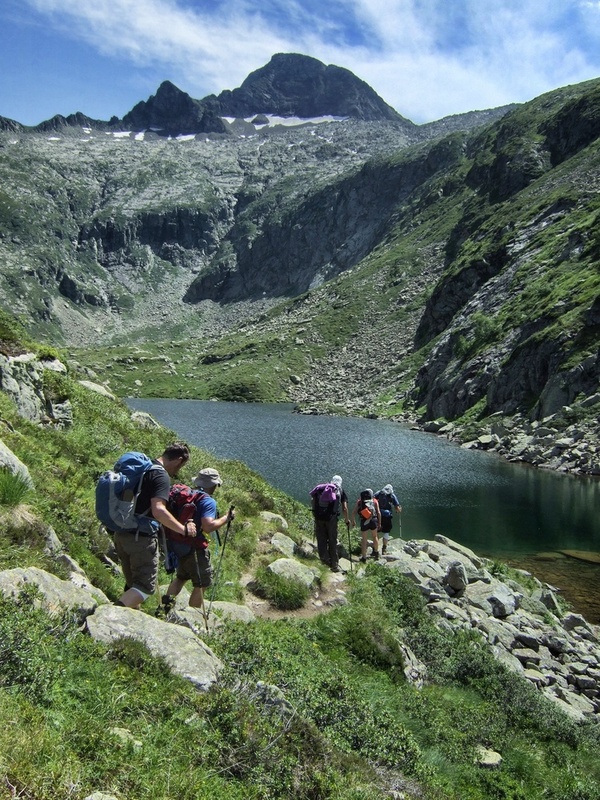 It’s a challenging four to five day hike over the Pyrenees. It follows the route that many military personnel and British allies took during WW11 to reach the safety of Spain! The route was officially recognised in 1993 and since then hundreds of military personnel and civilians have embarked on this sometimes, treacherous journey. My father, Gordon MacDonald, was a WW11 veteran, and lived in the French Pyrenees until his death in 1995 – I walked the Chemin in his memory. I had wanted to walk the Chemin for many years but for one reason or another the time had never been right. However, in 2013 everything changed when I met up with an old friend I hadn’t seen for 20 years who decided to walk it with me. My small group of 5 were inexperienced hikers so instead of joining the official walk that happens in July, we hired a private guide, Paul Williams, who took us across in August. We met our guide in St GIrons on a very sunny August day, and the weather was perfect for the whole crossing. Day 1 St Giron – Aunac (23km/14 miles +1118m/3668ft) – leisurely walk up hill all the way! Day 2 Aunac – Cabane De Subera (16km/10 miles +960/3150ft) – long walk up hill then eventually arrive at the shepherds hut! It was hard work and there were moments of total exhaustion but when we remembered those who had to cross in WWII, we really didn’t have anything to moan about. There was an abundance of wildlife on the mountains such as Marmottes, Vultures and Izards all who seemed follow us. However we only ever saw other walkers when we reached the refuges at night. This really is a beautiful place to go if you want to have a truly amazing adventure. “You cannot stay on the summit forever; you have to come down again, so why bother in the first place? Just this: what is above knows what is below, but what is below does not know what is above”.